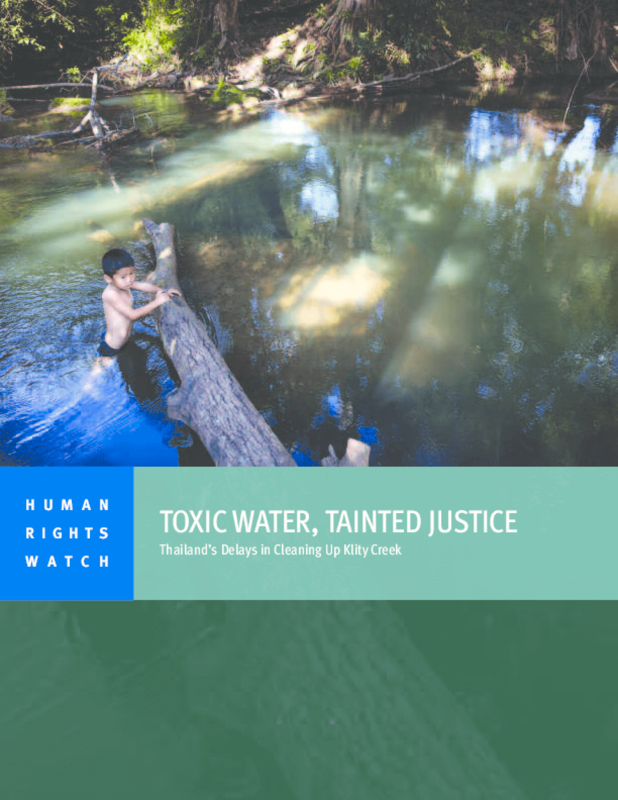 This 32-page report describes 16 years of failure by Thailand's Pollution Control Department and public health authorities to prevent further exposure to lead among the village's ethnic Karen residents.. Many residents of Lower Klity Creek village suffer the symptoms of chronic lead poisoning, such as abdominal pain, headaches, fatigue, and mood changes. Some children have been born with severe intellectual and developmental disabilities.